Watch till the end to see the progress we made! In conjunction with MARIGOLD HL's 30th anniversary, we were challenged to pick up three new skills that would "Bring Out The Super In You"
Ihsan: DANCING?! OH MY GOD! GUYS! Can we switch this? Ashley: "OwO, why's it popping?!! I even burnt the bun!" Hanis: "Eugh! How can they even sing while playing the guitar, Ammar?" Ihsan: "I wanna sleep! But I'm so proud of myself though and I'm proud of you guys." 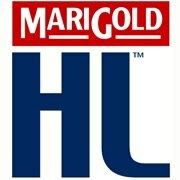 And it's all thanks to MARIGOLD HL, who wants to "Bring Out The Super In You"
MARIGOLD HL Low Fat Milk is more than just ordinary milk. It empowers you to be the best you can, whether at work or play, so that in every situation you can bring out the super from within you. MARIGOLD HL believes that you deserve more, that's why their milk is high in calcium and protein, while low in fat and lactose. It is also fortified with 9 essential vitamins: A, B1, B3, B6, B12, C, D3, E and Folic Acid, giving your family all the essential nutrients you need.